America, they say, is a melting pot. This map, put together by Redditor delugetheory, ​lets us see where the melting begins and ends. 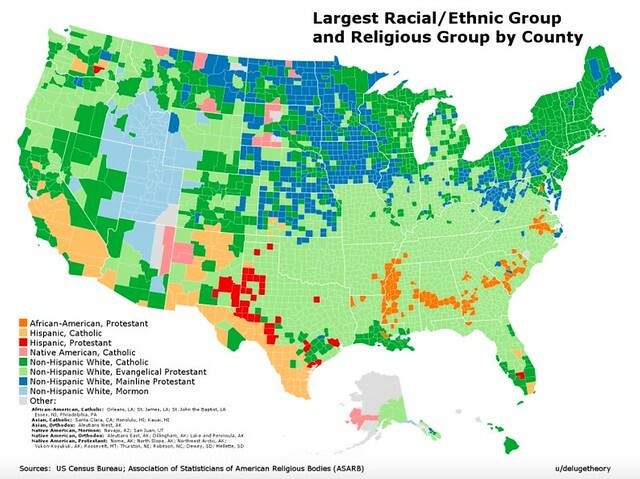 Turns out it’s a melting pot of white Catholics and Protestants, mostly. 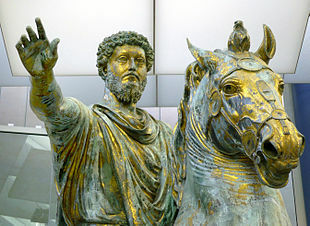 As we say our prayers, we might send self-abnegating birthday greetings to Marcus Aurelius (Marcus Aurelius Antoninus Augustus); he was born on this date in 121. Roman emperor from 161 to 180, he was the last of the so-called Five Good Emperors. He is perhaps as well remembered as a practitioner of Stoicism. His untitled writing, commonly known as the Meditations, is a significant source of the modern understanding of ancient Stoic philosophy and is considered by many to be one of the greatest works of philosophy.